A generic USA / UK tuning fork style layout created by using suitable buildings, signage, & vehicles enabling the running of both country's stock. Size 48" x 12" with a scenic section of just 32" x 12". Fiddle of 16" to permit usage of Peco loco lifts. 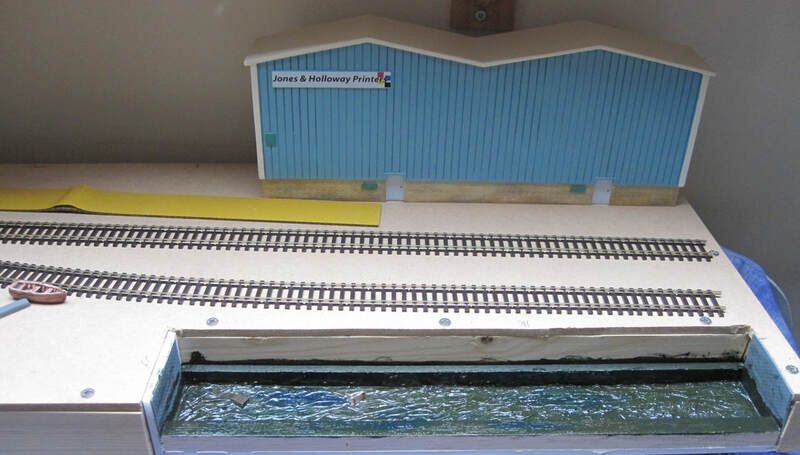 Track placed & harbour walls undercoated. 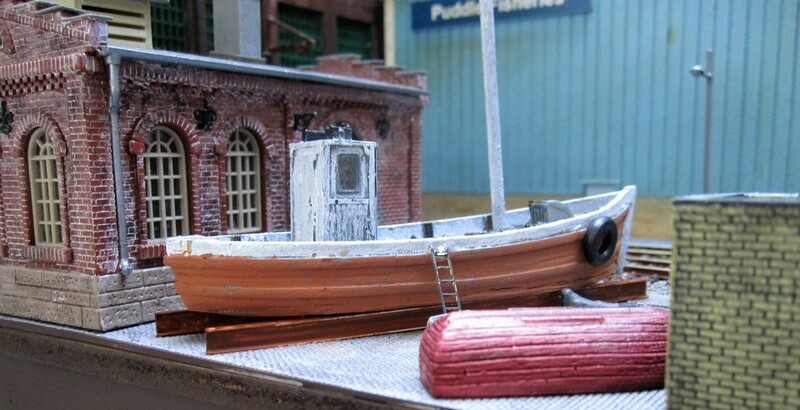 Sunk barge painted. 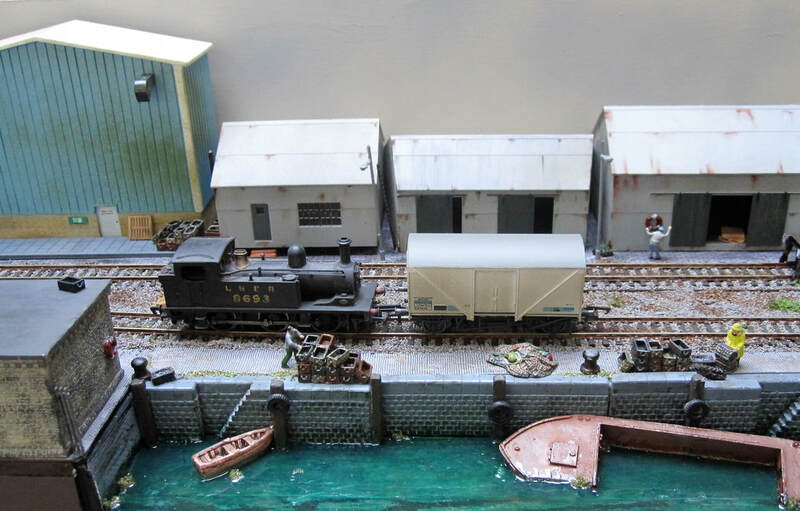 Hornby low relief warehouse placed; will need rebranding. Sea bed painted using very thick acrylics. Track awaiting basing on cork. Buildings lightly positioned for effect, warehouse rebranded to "Puddle Fisheries". Harbour itself virtually complete. Harbour wall with fish boxes. Exit to fiddle, partially blocked by USA gondola.